The safety rating of a vehicle is not always the first thing you look at when you go out to buy one. In a perfect world checking the safety rating of a vehicle would be your first consideration but we do not live in a utopia. In our world, vehicles are chosen based on how fast they go, how good they look and how utterly luxurious they are. However, it is not only our choice that is flawed, but vehicles also have imperfections that can present themselves over time. Take seat belt buckles, for example, they are an integral part of our safety yet they can break pretty easily. Their failure can expose you to accidents. Hence, it is your job to get them fixed as soon as possible. Luckily, seat belt buckles can be fixed at home if you are a willing soul. Of course, the job takes skill and precision which can be acquired. No need to worry, we will help you out on this journey with our step by step guide. 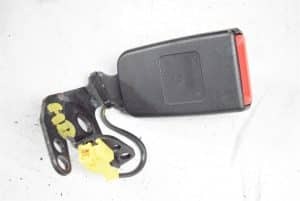 Before you set out to fix a seat belt buckle you would need to acquire a few tools that are absolutely necessary for the job. i) Get a screwdriver set that has various screw heads so you don’t get stuck in the middle of your operation. ii) A pointy yet flat tool preferably a butter knife that could reach inside the buckle. Remember: If you are not sure that your seat belt buckle is repaired, REPLACE IT! You do not want to be responsible for a serious injury in an accident because your repair was faulty. Before you begin solving the problem you have to check the belt for damage. If the belt has a cut or something stuck to it like gum or dirt particles you need to remove it. As these hindrances might cause the belt to break yet again. If your belt is clean and smooth you need to move to the next part which is the male part of the seat belt. This part is also called the tongue and just like you clean your tongue you need to clean this one too. If all is well here you can move to the second step of inspection. Given the nature of a buckle’s construction, it is possible that something gets stuck in it. You need to spot any such hindrance and remove it. This is where you will use the knife we suggested earlier. Put the pointy part of the knife inside and move along the edges of the buckle. If you feel something inside scoop it out. This way you will be able to clean the insides of the buckle and your seat belt will work fine. However, if the problem persists you need to hop over to step three. If easy examination cannot solve your problem then that means there is something wrong inside the buckle that you cannot reach. That means it is time for you to remove the buckle. A seat belt buckle is either screwed on separately or it is fitted with the seat. In both cases, you would have to use your screwdriver to remove the female part. Removing the seat is a bit tricky but nothing a few YouTube videos can’t teach. Get it done and move onto the next step. To get a good idea of the fault you have to take apart the buckle and examine its inside contents. A buckle has sockets on it which have to be unscrewed to disassemble it. However, there are other buckles that come without a socket and can be opened with a slight application of pressure. This part should not be difficult. However, keep in mind that there are small springs inside the buckle which could pop out if you jerk it open. Inside the buckle will be a small system in place that catches and leaves the tongue on your command. 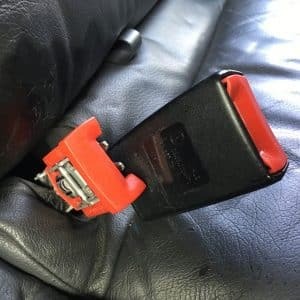 A broken seat belt buckle will obviously not perform that action properly, so you have to check how it works once it is opened up. There are three major parts inside: the red push button, a cam, and springs. When you push the tongue in, the cam catches it and holds it together tightly. As soon as you press the red button, the cam is loosened with the help of the springs and the tongue goes loose. Therefore, check to see if the cam is out of position, if one of the springs has disintegrated or if something has been stuck inside. Replace all the broken parts, clean all the old parts and check the mechanism again. Everything should work fine now but if it still does not work, you should go to the final step. Once you are done with your work, carefully reassemble the buckle and tighten it back in place. While you are at it, clean the small crevices your cleaning guy misses that are between the seat and the transmission tunnel. A lot of junk gets gathered down there, which eventually sinks into your buckle and you face problems. If you are careful, your buckle would last you a long time. Otherwise, you always have step number seven. When all else fails, your only choice is to replace your old seat belt buckle with a new one. The new buckle will be company manufactured and quality tested so you won’t have any problems with it at least for a few years. You could keep the old buckle for parts just in case you have to perform the buckle repairing operation again. 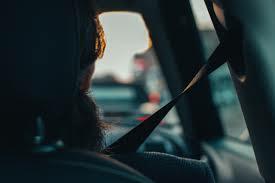 Alternatively, you could have a professional seat belt repairman have a look at your seat belt buckle but chances are if you couldn’t fix the fault, he wouldn’t be able to. No disrespect to the repairman but a buckle has only a few parts and a simple mechanism. There is nothing complex in the system so you could be as good as a repairman.